The big knob controls the pitch. 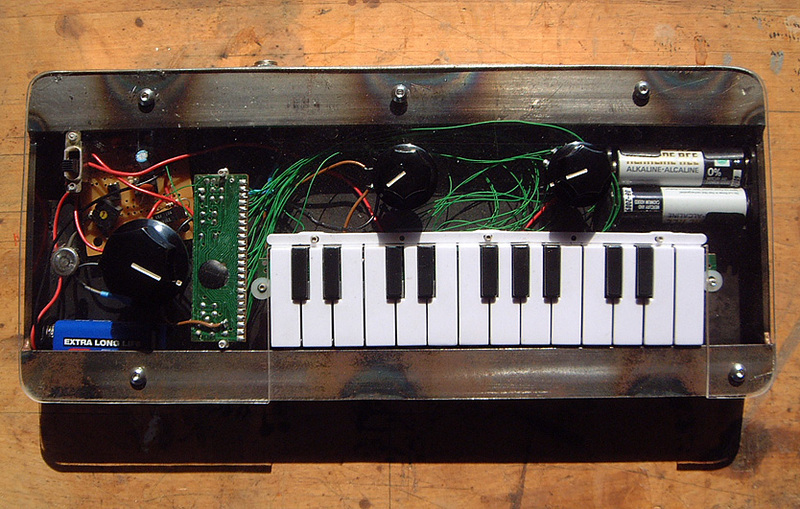 The next knob controls the volume for the 1/4″ output, so you can connect the keyboard to an amplifier or headphones. The last knob controls the rate at which the timer circuit strobes and for feedback, an LED inside the case that flashes at the same rate as the timer. The touch-contact creates a weird static reverb that varies depending on what the keyboard is connected to. The case is welded from mild steel so it’s slowly rusting.